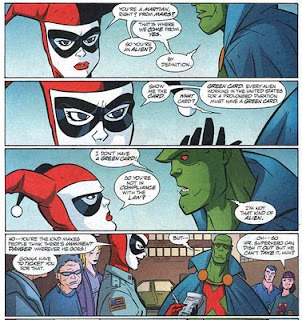 Can J'ONN J'ONZZ & BLACK WIDOW Defeat Immigration Laws? According to Newsarama, you're both kinds of alien, J'onn! I seriously wish Harley Quinn and J'onn J'onzz would appear in more comics together.